Four generations ago, Manual Jacintho worked as a mason, saved his earnings, and purchased small properties in the Kula area. 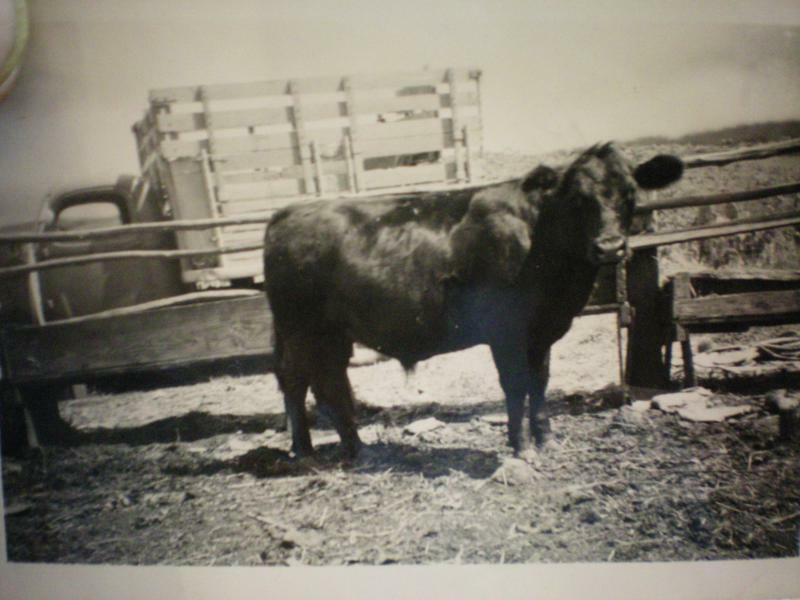 He started a part-time Black Angus ranch to feed his family, and supplement the family income. The healthy grass growing on the pastures' naturally rich soil, kept a healthy breed of cattle thriving. He raised his animals without the use of hormones, antibiotics, or artificial stimulants. This tradition has been kept in the family for four generations. Today, the tradition of the family farm provides you an improved choice of Certified Organic Beef that is produced in the healthy way beef is intended. Today, the ranch raises Angus, Brangus, and Wagyu. How is the Beef supplied? At present we are selling our beef as freezer beef for personal use by quarters. The animal is processed at a local USDA Inspected Packinghouse. How much meat will I get in a quarter of Beef? May Bones be purchased for Dogs? Copyright 2010 Beef and Blooms. All rights reserved.